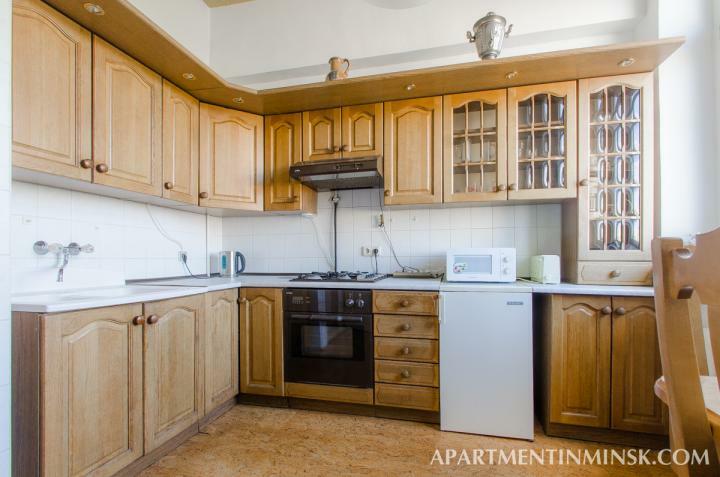 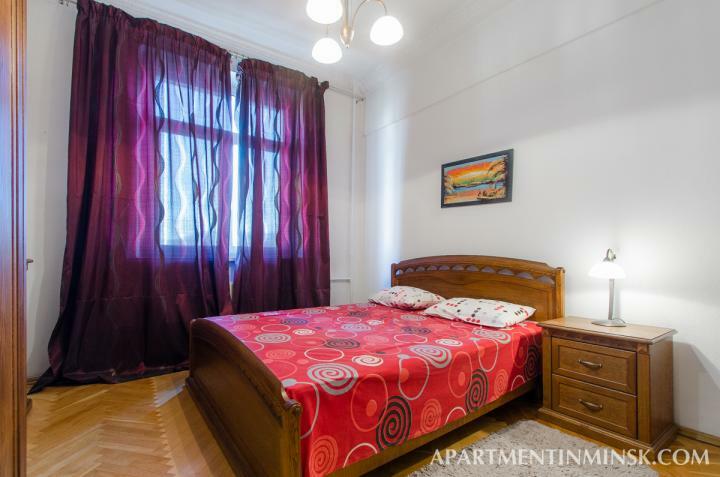 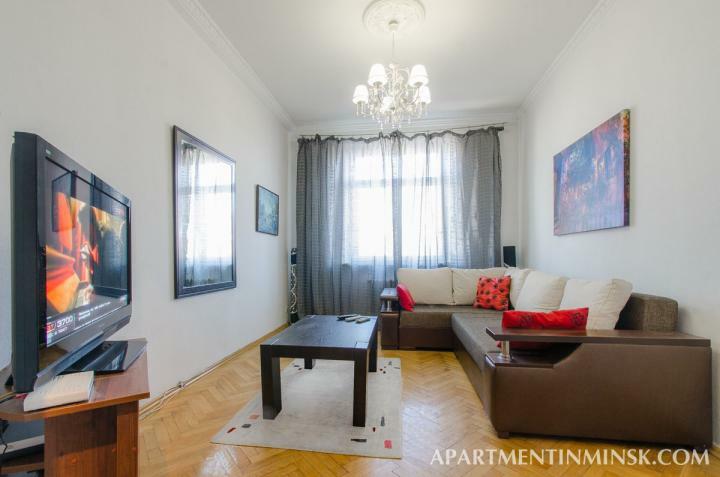 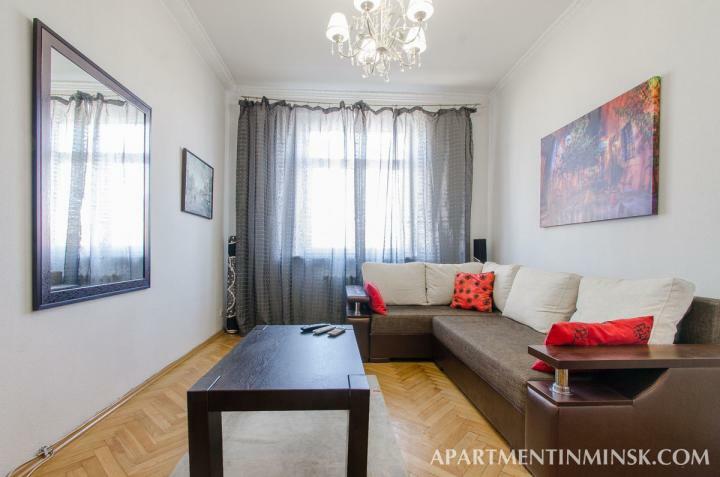 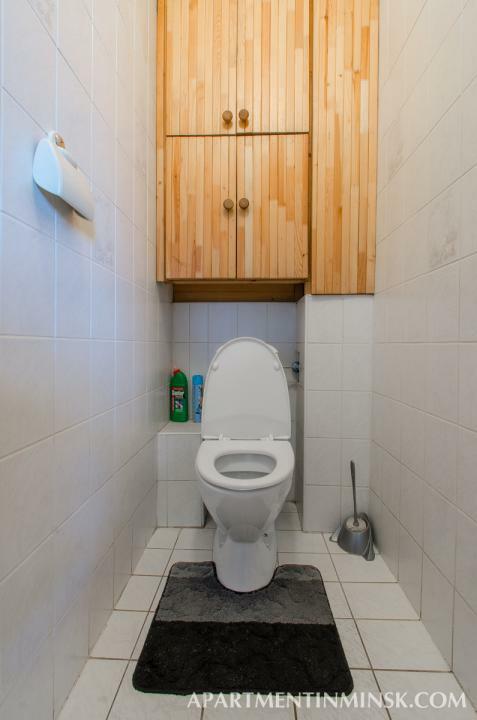 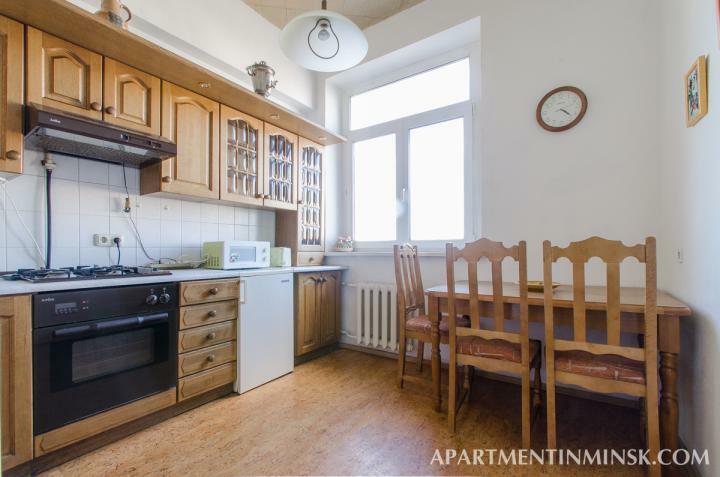 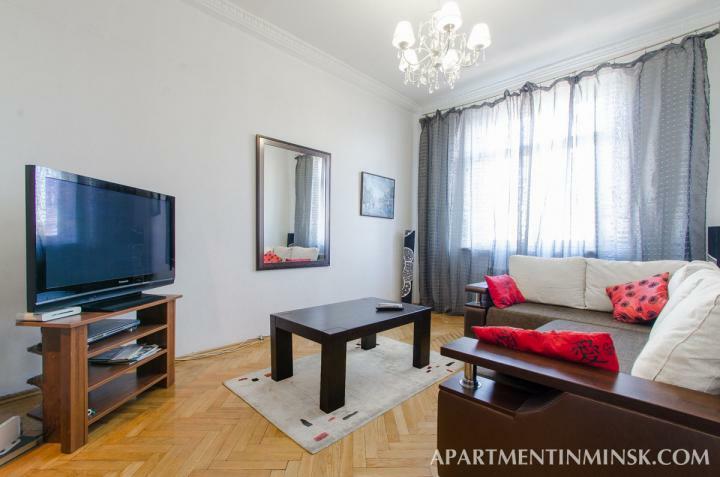 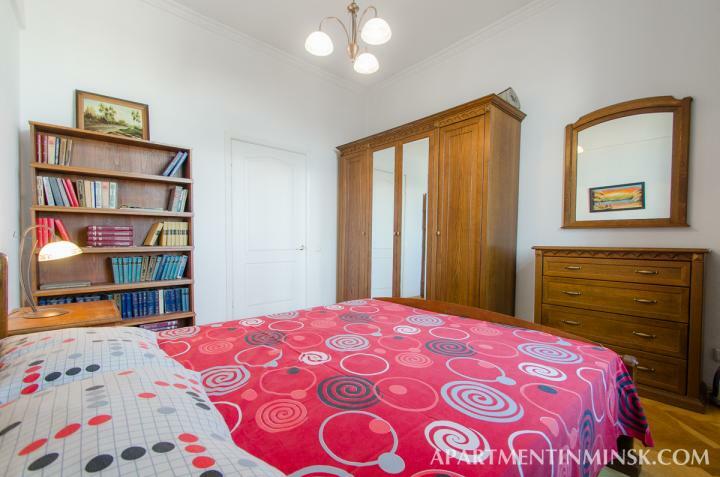 The apartment is located on Nezavisimosti Avenue 29, a few hundred meters away from the main square right in front of Minsk circus. 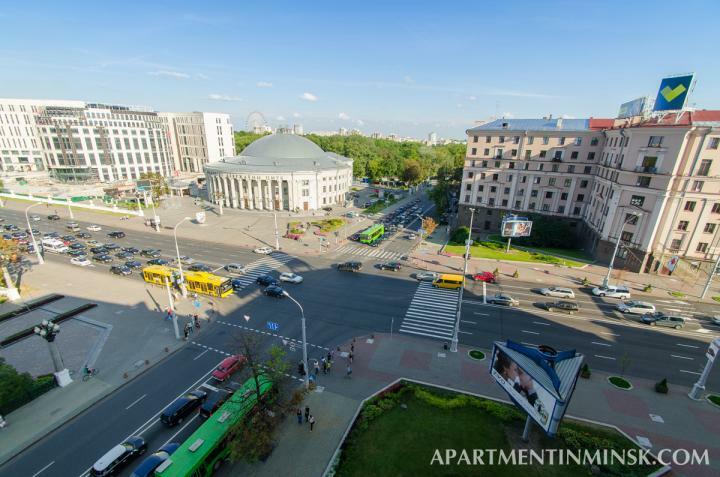 The view from the flat is quite amazing - you could see the circus, 2 city parks (Gorky park and Yanki Kupaly park), Victory square. 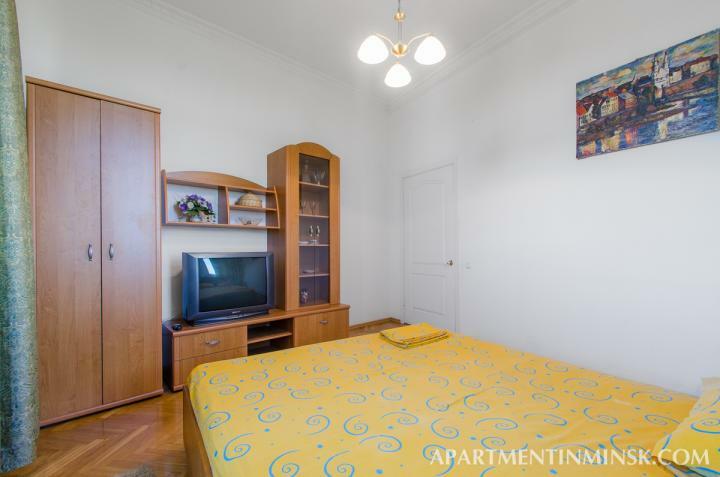 This apartment can accommodate up to 6 guests - there is one double bed in each bedroom and double sofa-bed in the living room. 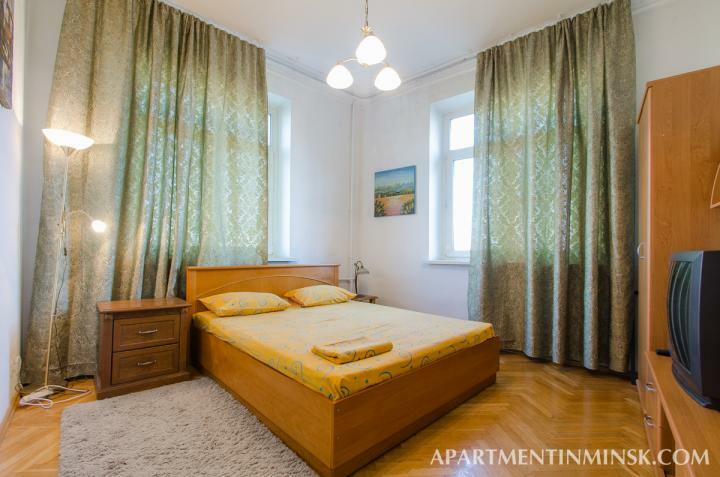 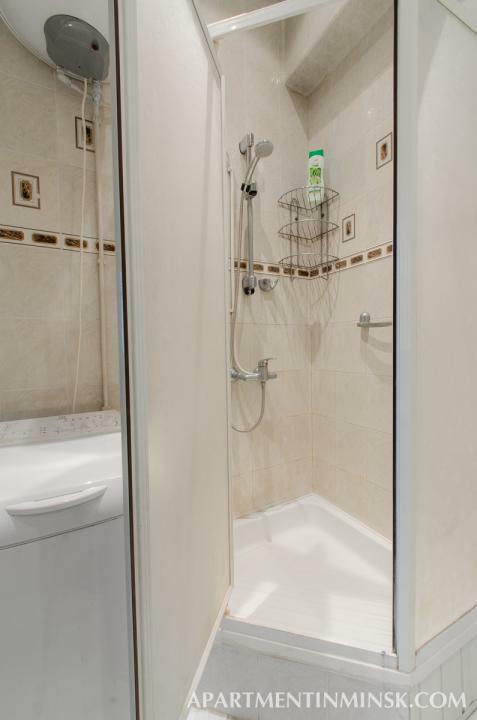 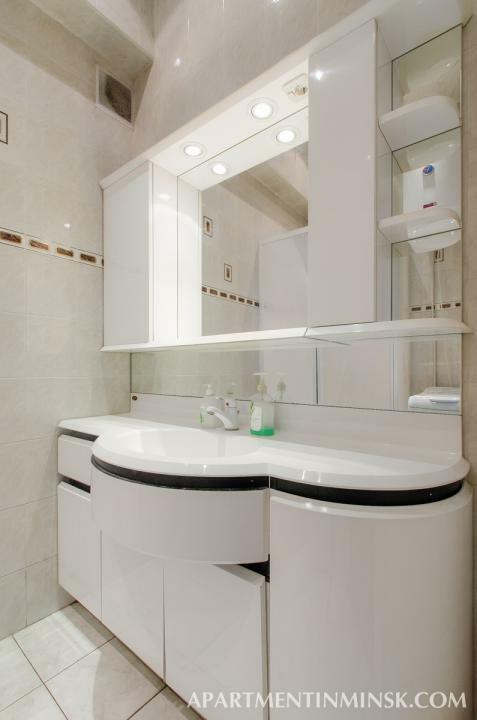 Clean bed-sheets and towels are provided for every guest.